LG's 2015 flagship smartphone, the G4 is available to pre-book in India. LG India is now taking pre-bookings for the LG G4 smartphone via its own website. 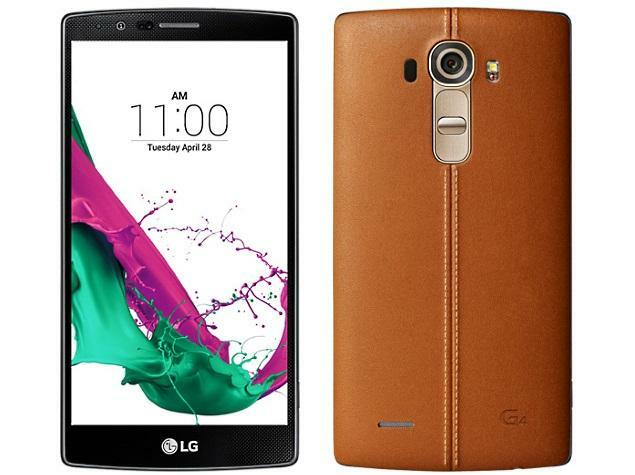 Additionally, a Mumbai-based retailer has claimed that the LG G4 will be launched at Rs. 51,500 accompanied by a dual-SIM variant. In other news, a third-party online retailer is now selling the dual-SIM LG G4 at Rs. 49,999. LG India is now teasing the G4 pre-bookings via a dedicated website that claims that consumers who pre-order the smartphone before June 15 can get a chance to receive the handset from Bollywood actor Amitabh Bachchan. The company has also listed few assured gifts for consumers who pre-order the G4 which include a LG G4 Metallic Finish Back Cover worth Rs. 2,000 inside the box; free one time screen replacement worth Rs. 6,500, and free extra battery with charging cradle worth Rs. 3,500. The company page does not reveal if the smartphone up for pre-order is the dual-SIM version. The Mumbai-based retailer alongside has hinted that the LG G4 India launch could happen around June 15 and has also tipped the pricing to be Rs. 51,500, though it remains uncertain if the retailer is referring to the dual-SIM variant of the G4, with model number D818N. LG India has however not announced any release date for the G4 or its dual-SIM variant, and it is possible only the dual-SIM variant is launched in India. Notably, the dual-SIM variant of the smartphone has already gone on sale via third-party e-commerce site Infibeam. Last month, LG after announcing the start of the global rollout of G4 made the dual-SIM variant of the smartphone available in select countries. Both the LG G4 Dual SIM H818P and LG G4 Dual SIM (Dual LTE) H818N variants were made separately available, and once again, it remains uncertain which version will be made available in India though the model name indicates the latter.